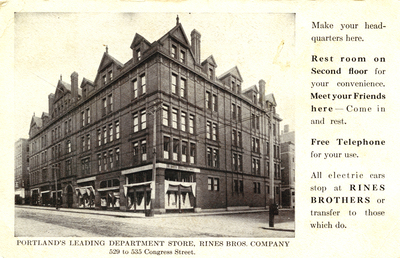 Advertisement post card for Rines Brothers Department Store (529 - 535 Congress Street). Postmarked 10 January 1913. Published by George S. Graves, West Harpswell, Me. "Rines Brothers Department Store" (1913). Portland Postcards. 29.